We believe that camp is just the beginning of a transformed life with Christ. Camps are an excellent opportunity for youth to experience a purposeful week designed to help them grow in their relationship with Jesus. It's also a great opportunity for youth to develop and strengthen their relationship with other youth. Youth Pastors and leaders intentionally plan activities, games and messages to help youth grow both spiritually and relationally. PLUS, they get to make connections (and friendships) with other youth groups throughout our state, unifying us as the body of Christ. This year our RELENTLESS youth ministry will be joining with our Pacific Southwest District Camps to provide an awesome time of fun and messages designed with youth in mind! We're also looking for VOLUNTEERS! If you have a heart to serve with our Children's Ministry at Sports Camp, contact Kim Ucker! 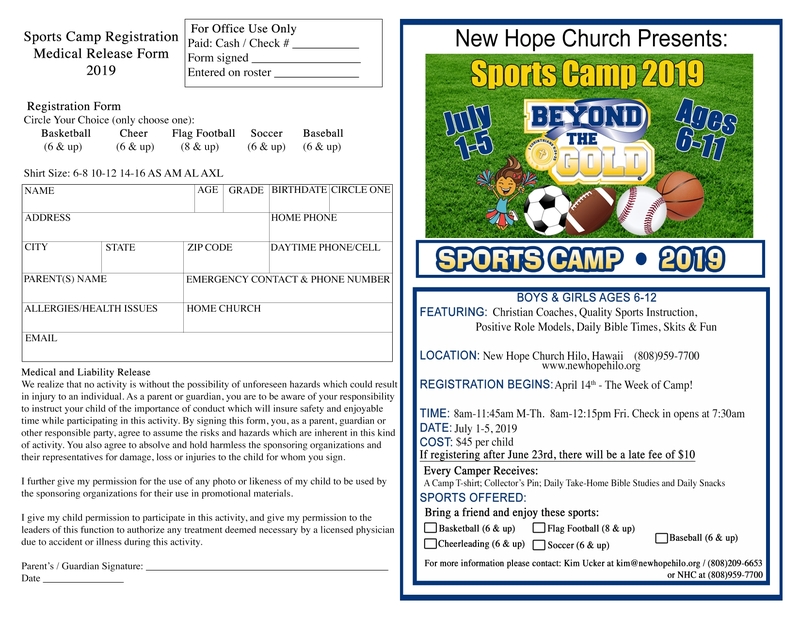 For information on Sports Camp please contact Kim Ucker or Pastor Lynn Sawyer.